Buying 20 pct of electronics chain Suning is a backward step for the Chinese e-commerce giant. Its motive may be gaining access to a delivery network. Yet Alibaba’s appeal has been its asset-light model. Defending its near-monopoly online will require more offline investment. 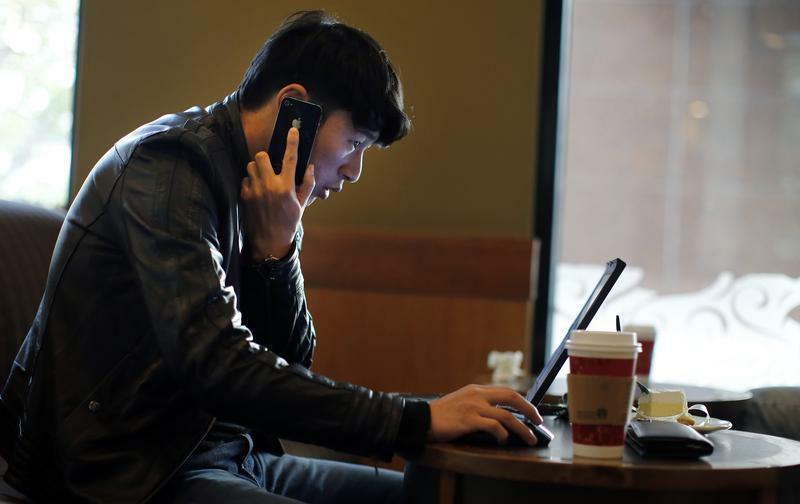 A man talks on the phone as he surfs the internet on his laptop at a local coffee shop in downtown Shanghai November 28, 2013. Breakdown: What's driving China's latest web boom? Chinese e-commerce group Alibaba announced on Aug. 10 that it would invest 28.3 billion yuan ($4.63 billion) in electronics retailer Suning in return for a 19.99 percent stake. At the same time, Suning will acquire 27.8 million newly issued ordinary shares of Alibaba for 14 billion yuan, giving it a 1.1 percent stake in the e-commerce giant. As part of the deal, Suning will open an online storefront on Alibaba’s Tmall shopping platform. Meanwhile, Alibaba will gain access to the retailer’s logistics network, which includes 65 national and regional distribution centres. Alibaba will pay 15.23 yuan per Suning share, a 5.76 percent premium to the average 20-day trading price. Suning will pay $81.51 per Alibaba share, roughly 3 percent above the company’s closing share price of $78.82 on Aug. 7. Alibaba has been investing heavily in so-called “online-to-offline” e-commerce, which connects web shoppers to traditional retailers. In March last year, Alibaba purchased a 2 percent equity interest in another major electronics retailer, Haier, as well as a 9.9 percent stake in Haier’s logistics subsidiary, in a deal worth HK$2.8 billion ($361 million). Around the same time, Alibaba invested $692 million in Chinese department store operator Intime Retail Group.